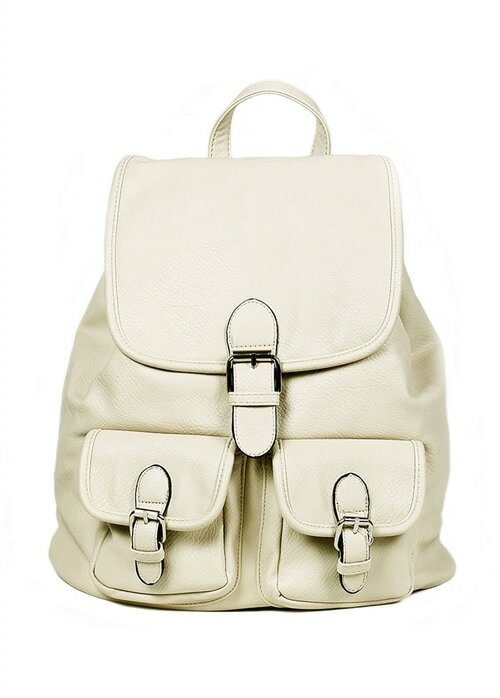 Backpack in imitation leather. Closes with magnetic button and hidden drawstring. Lined inside of textile that includes three side compartments, one sealed with a zipper. Two outer compartment with lid closed with magnetic button. Adjustable straps at the back. Made of 100% PU. Length 30 cm. Height 33 cm. Width 16 cm.